Fatima Triduum for Visit of International Pilgrim Statue of Our Lady of Fatima. Cathedral of Annunciation and St. Nathy, Ballaghaderreen, Co. Roscommon. All are invited to come and pray before this Image of Our Lady of Fatima, but above to fulfill her greatest wish: to participate profoundly in the Celebration of the Holy Mass. Cathedral of Immaculate Conception, Sligo. Guest Preacher: Father John Hyacinth Walsh OP. “Fatima Evening on Vigil of Assumption of Our Lady”. St. Patricks Catholic Church, Downpatrick. 8:30 PM – Glorious Mysteries of Rosary. “Feast of Assumption of Our Lady”. Church of Immaculate Conception and St. Joseph, Crossgar, Co. Down. 9:30 AM – Mass with Homily followed by Exposition of Blessed Sacrament. The International Pilgrim Statue will remain in the Church throughout the day. 7:30 – 9:00 PM – Evening Service: Rosary, Talk on Fatima and Benediction. St Comgall’s, Bangor, Co. Down. 9:30 AM – Mass with brief Reflection. The International Pilgrim Statue will remain in the Church throughout the day. Cathedral of St. Peter, Belfast. 10:00 AM – Mass. The International Pilgrim Statue will remain in the Cathedral throughout the day. 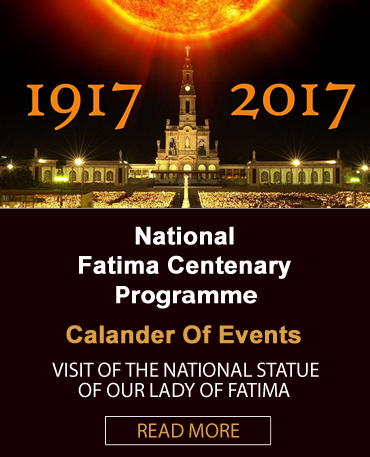 Commemoration of the Centenary of the Fourth Apparition of Our Lady, 19th August 1917. Saint Kevin’s Church, Harrington Street, Dublin 8. Fr Ailbe O’Reilly ORC will preach at all Masses. The National Pilgrim Statue will remain in the Church until after 12:00 PM Mass on Sunday. St Patrick and St Felim Cathedral, Cavan. 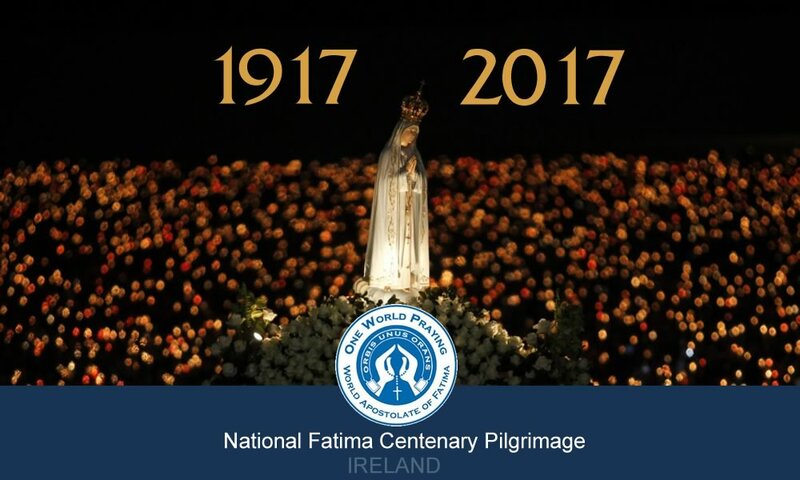 Sunday World Apostolate of Fatima Pilgrimage.